Aprea has presented clinical data from the Phase Ib part of the ongoing PiSARRO Phase Ib/II trial of APR-246. 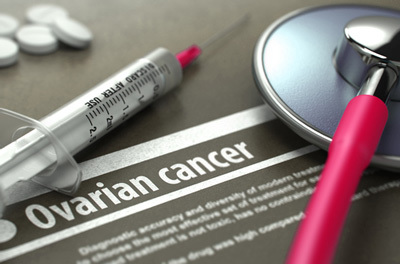 The PiSARRO trial is investigating the safety and efficacy of the therapy in combination with carboplatin and pegylated liposomal doxorubicin (PLD) in patients with relapsed high-grade serous ovarian cancer. Results presented at the Annual Meeting of the American Society of Clinical Oncology (ASCO) showed APR-246 can be combined with standard chemotherapy at relevant doses, allowing the highest tested dose to be selected for continuing the study in a randomised Phase II trial. All 21 patients treated in the study that are evaluable according to RECIST criteria have stable disease or better. In addition, 15 out of 18 evaluable patients had a GCIG CA-125 (tumour antigen biomarker) response after three treatment cycles. Overall response rate (GCIG or RECIST) was 18/24 (75%). In the data, APR-246 showed linear pharmacokinetics with no accumulation and low intra patient variability and no indication of interaction between APR-246 and chemotherapy, supporting the combination of APR-246 with carboplatin and doxorubicin at relevant doses. The main related treatment-emergent Grade 3-4 adverse events have been neutropenia, anaemia and vomiting. The most frequent treatment-emergent adverse events have been low-grade gastrointestinal (nausea/vomiting), central nervous system (dizziness) and heamatological (neutropenia and thrombocytopenia) events. The hematological side effects can be attributed to the chemotherapy, although a contribution from the addition of APR-246 cannot be ruled out at this time.